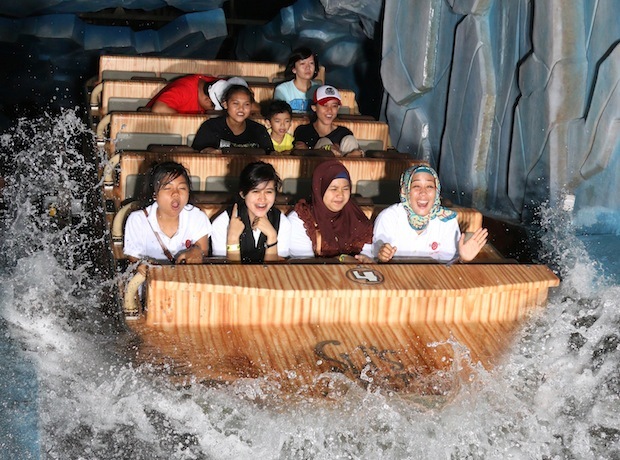 The Indonesian amusement park Ancol launched a new Ice Age themed attraction, featuring an immersive flume ride. 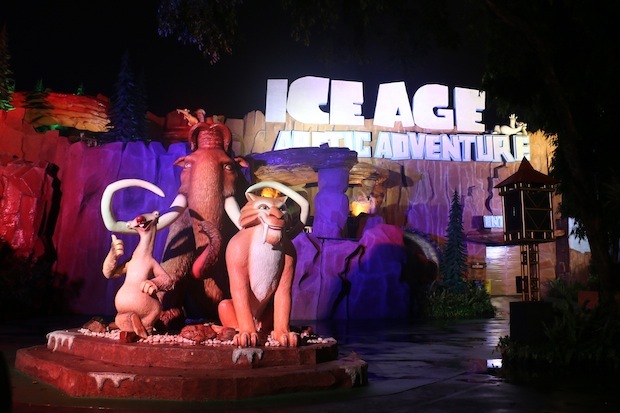 Inspired by the hit animated films, Ice Age Arctic Adventure was realised in partnership with 20th Century Fox Consumer Products and iP2 Entertainment by Pure Imagination Studios of Los Angeles and ride manufacturers Hopkins and Zierer. 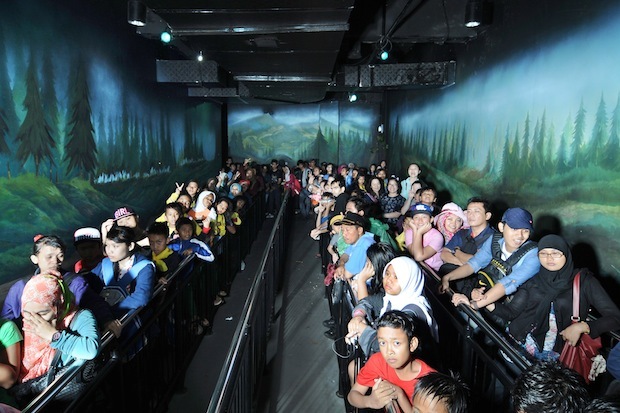 The indoor flume ride at the heart of the experience invites Ancol guest to make a voyage with Sid's Arctic Tours, where they are “guaranteed to get chills." The journey is filled with animatronic characters, glaciers, geysers, waterfalls and other scenery, plus additional Ice Age multimedia content created especially for the attraction. 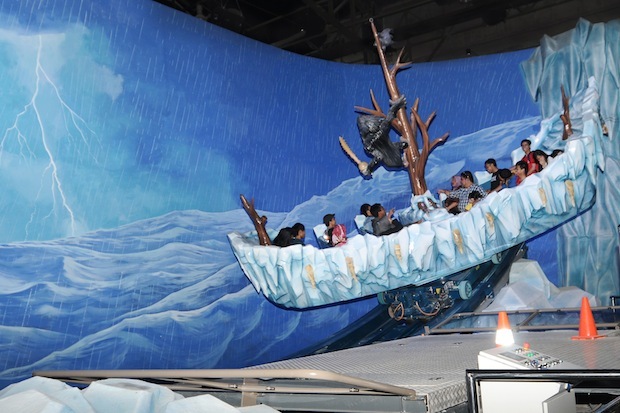 The ride system was supplied by Hopkins, part of the WhiteWater group, and comes complete with large 20-seater boats finished to look as though they have been carved from wood. The ride's features are used to tell parts of the story. As the boats climb the lift, for example, blasts of water douse passengers from all around, signalling that the ice walls are giving way, and they are in danger of being swept up in a flood. A massive block of ice dangles precariously overhead …and then comes sliding down, barely missing the boat. But guests are safe for a while as they travel through several jungle scenes. Later they encounter a volcano about to erupt. Boulders break off from the caverns, but now it's not water streaming from the walls, it's lava! Riders then hurtle down a steep watery drop to safety. At the end of the ride, a life size animatronic Sid waves guests goodbye, before they step off the boat and into dimly lit oceanic cave where they come into contact with Captain Gutt and Gutt's Galleon, a custom-themed Kontiki rocking raft ride by Zierer. 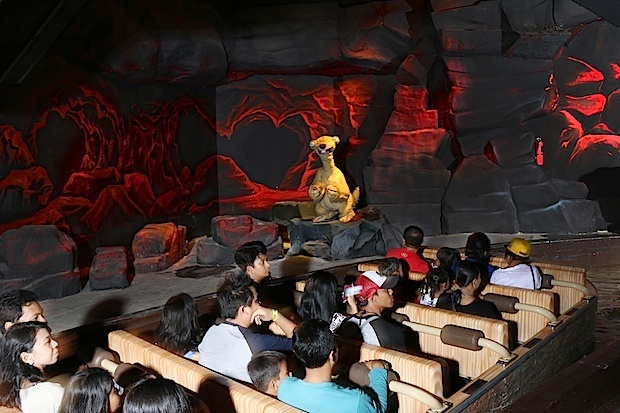 “The new Ice Age attraction at Ancol is a first for this region of the world and this expansion is part of our overall commitment to allow fans to experience Ice Age and its characters in new and innovative ways," notes Greg Lombardo, vice-president of global location-based entertainment at 20th Century Fox Consumer Products. “This project is further proof of the incredible popularity that Ice Age enjoys around the globe and specifically in the very important territory of South East Asia." Ancol is located in Indonesian capital of Jakarta and the new attraction is its first partnership with an external intellectual property. 20th Century Fox Consumer products in currently working on new Ice Age theme park projects for clients including Resorts World Genting, Malaysia, which opens a Fox-branded park in 2016. The fifth film in the Ice Age franchise is expected to hit movie theatres next year.